International workshop ECMP2019 was held at Higashi-Hiroshima Arts & Culture Hall "Kurara" on 18th-20th March, 2019. 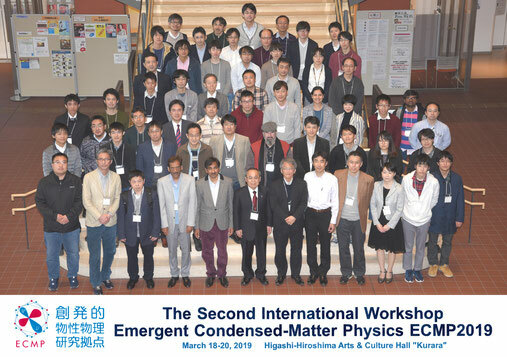 Emergent Condensed-Matter Physics 2019 (ECMP2019) is the second international workshop initiated by the core research center ECMP (https://www.ecmp.jp), Hiroshima University. 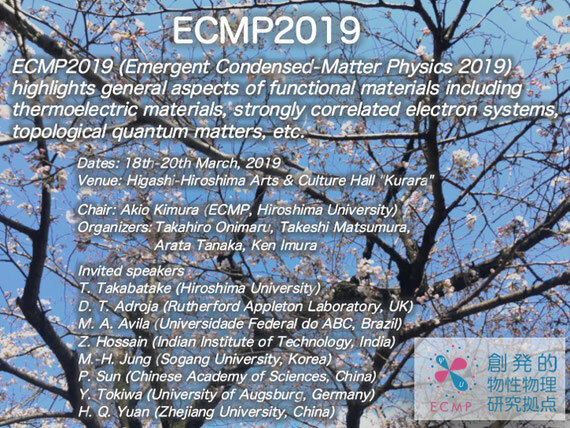 ECMP2019 covers general aspects of functional materials including thermoelectric materials, strongly correlated electron systems, topological quantum matters, etc. Venue: Higashi-Hiroshima Arts & Culture Hall "Kurara"